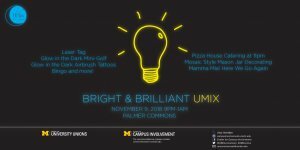 Don't be in the dark - UMix is back this Friday! 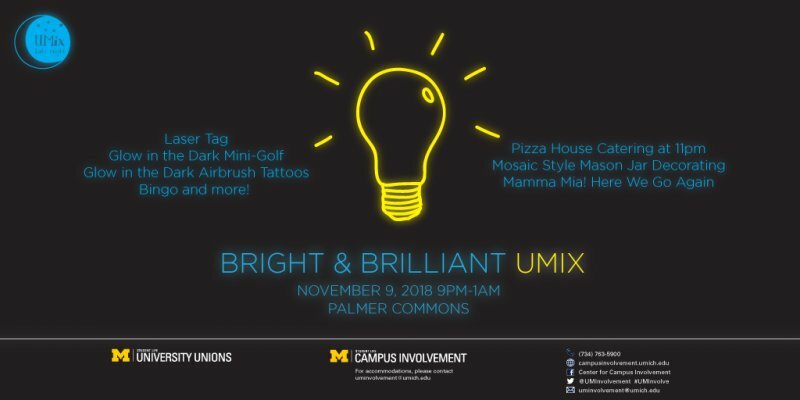 Come to Palmers Commons on November 9th from 9pm-1am to play laser tag, get a glow-in-the-dark airbrush tattoo, eat some free Pizza House and watch a special screening of Mamma Mia! Here We Go Again! With all this fun and more, this night will sure leave you glowing!